Very pretty colors and the reflection in the glass. Regards. Que c'est beau ! J'aime beaucoup ! Ancora una volta mi lasci senza parole...ottima. i like this very much. the starkness comes through in the monochrome versions. Semplicemente bella! anche nei colori! Esta es la exquisitez llevada al arte. This looks so sad. Amazing concept! Even a broken glass can become art. A great b&w abstract, your work are wonderful! Um copo partido deu uma excelente foto perfeitamente bem trabalhada, as cores são fantásticas. Me alegro, muchas gracias Juncal! Love the first image, stunning. I like all three versions! wow , this is excellent ! Beautiful crystal colours and reflections in this abstract dear Leovi. Thanks for linking up to WW. Una idea muy creativa y bien ejecutada. No es un halago gratuito, Leovi, porque se basa en la conexión entre mis gustos y la belleza. No me corto si te digo que es para mural. 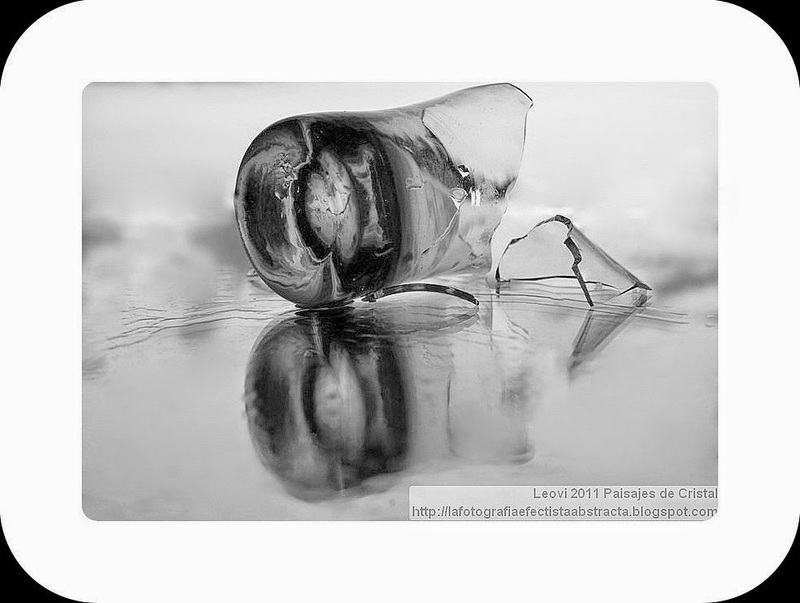 For a change, I'm seeing a broken bottle and understanding what I see. very fine your Virtual Gallery congrats!good sales!!! absolutely gorgeous concept and execution, leovi! Awesome image and title connection! Más que un cristal, casi un espejo. Superb, dramatic capture as always, Leovi!! I love it!! Have a great weekend!! I love the first one because it feels like a sunset on the beach. Thanks for linking up at Thursday Favorite Things, can't wait to see what you'll share next week! beautiful colors for this wonderful subject! Broken, but still so beautiful. Delicate. An after party shot? A great view. Love the first one! Beautiful broken glass. Thanks for sharing with SYC. Another awesome piece. My life is not always this colorful, but I work at surviving. Today's photo tells a story. Beautiful, but somehow sad. you are so creative in how you capture just the right thing! Very beautiful reflection! I like these photographic art creations!! You have water, too. Beautiful. While it is broken, it is beautiful. So fresh and cool! Sorry I missed the party :) Saludos! Ton blog est magnifique de créations ! Thanks for linking up at The Froelich Diaries! This is a very cool photo. I had to study it to decide what it was!